Last winter, Singapore-based Bitsmedia launched a new app into the marketplace called Frenzapp that enables users to share their favorite iPhone apps with friends, joining acluster of services taking on Apple’s Genius in the attempt to make app recommendations even better. Frenzapp approached this by cutting out manual search for apps, automatic discovery of apps you already are using, and by becoming friend-powered — integrating with Facebook, Twitter, Apple Game Center and offering native address book integration. It also offered a bunch of different ways to discover new apps, lists that aggregate what’s trending, most popular, recently added, on sale, and so on. Yet, with a competition from other app-recommendation startups, like Chomp, Appsfire, Discovr, Zwapp, Explor, and more, Bitsmedia made a smart strategic decision and decided to diversify by bringing Frenzapp to music with a new app called, you guessed it, Frenzapp Music. After all, as a Genius extension, expanding its discovery model into the music space is part of a seemingly natural progression. For starters,Frenzapp Music, which recently went live on iTunes, attacks the social aspect of music discovery by enabling its users to share their favorite music on Facebook and Twitter. Users can post status updates to social networks or scroll through a realtime feed of the music their friends are liking, listening to, and listing as “favorites”. 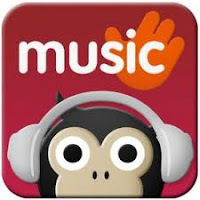 Frenzapp Music also offers easy iTunes integration in which you can search the store’s full catalog of some 14 million songs, view top charts, and play 30-second clips of songs you’re interested in checking out. The app complements its social functionality with location-based features as well, in which the app takes advantage of the iPhone’s location to enable users to scan your immediate vicinity to see what songs people in your hood are liking and listening to. Whether a user is viewing a song based on location, or directly in iTunes, or from a friend’s music stream, they have the option to take advantage of the 30-second preview feature. Then you can blast out your song choice on Facebook and Twitter, or go buy the song in iTunes. What’s more, Frenzapp Music gives users access to their library of songs stored on any iOS device, with the ability to use playback controls, and use Frenzapp Music as the default music player. The app also supports AirPlay so that users can stream music to Apple TV or any other AirPlay compatible device. Bitsmedia and Frenzapp are the brainchild of founder and app developer Erwan Macé, who was formerly the CTO of Soundbuzz, one of the pioneers in legal digital music platforms back in 2000 that was acquired by Motorola back in 2008. Mace was also a technical consultant for Akamai, which specializes in the delivery of digital media (including operating some of the infrastructure behind iTunes), as well as the CTO of Vivendi MobileEntertainment. As a crowdsourcing app, Frenzapp’s usability and success rely on user adoption to make the experience more robust. And though the app has its work cut out for it with the traction of SoundTracking, if it can stay a nose ahead, I think it has potential to become a part of your stable of apps — and maybe even a viable third-party competitor to Ping. Though I may be getting a bit ahead of myself on that one. Frenzapp Music is definitely worth checking out, which you can do here, and please jump into the comment section to let us know what you think.